This article is about the German nation-state existing from 1871 to 1918. For other uses, see German Empire (disambiguation). 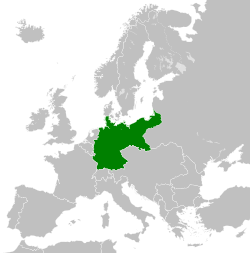 It was founded in 1871 when the south German states, except for Austria, joined the North German Confederation. 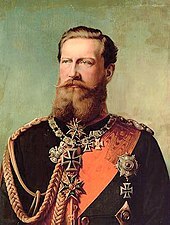 On 1 January 1871, the new constitution came into force that changed the name of the federal state and introduced the title of emperor for Wilhelm I, King of Prussia from the House of Hohenzollern. 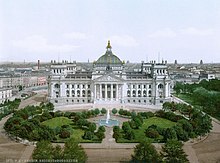 Berlin remained its capital, and Otto von Bismarck remained Chancellor, the head of government. As these events occurred, the Prussian-led North German Confederation and its southern German allies were still engaged in the Franco-Prussian War. 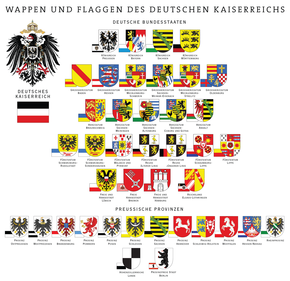 The German Empire consisted of 26 states, most of them ruled by royal families. They included four kingdoms, six grand duchies, five duchies (six before 1876), seven principalities, three free Hanseatic cities, and one imperial territory. Although Prussia was one of several kingdoms in the realm, it contained about two thirds of Germany's population and territory. Prussian dominance was also established constitutionally. In the First World War, German plans to capture Paris quickly in the autumn of 1914 failed. The war on the Western Front became a stalemate. The Allied naval blockade caused severe shortages of food. 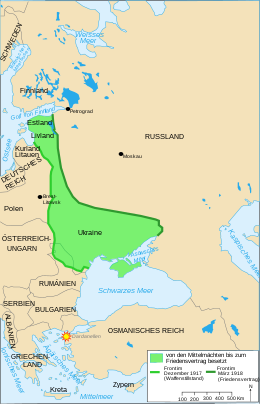 However, Imperial Germany had success on the Eastern Front; it occupied a large amount of territory to its east following the Treaty of Brest-Litovsk. The German declaration of unrestricted submarine warfare in early 1917, contributed to bringing the United States into the war. The high command under Paul von Hindenburg and Erich Ludendorff increasingly controlled the country, but in October after the failed offensive in spring 1918, the German armies were in retreat, allies Austria-Hungary and the Ottoman Empire had collapsed, and Bulgaria had surrendered. The Empire collapsed in the November 1918 Revolution with the abdications of its monarchs. This left a postwar federal republic and a devastated and unsatisfied populace, which later led to the rise of Adolf Hitler and Nazism. 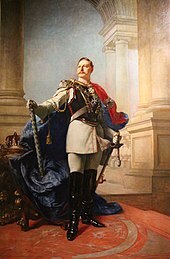 The second German Constitution, adopted by the Reichstag on 14 April 1871 and proclaimed by the Emperor on 16 April, was substantially based upon Bismarck's North German Constitution. The political system remained the same. The empire had a parliament called the Reichstag, which was elected by universal male suffrage. However, the original constituencies drawn in 1871 were never redrawn to reflect the growth of urban areas. As a result, by the time of the great expansion of German cities in the 1890s and 1900s, rural areas were grossly over-represented. 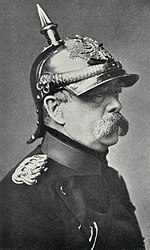 Bismarck and most of his contemporaries were conservative-minded and focused their foreign policy attention on Germany's neighbouring states. In 1914, 60% of German foreign investment was in Europe, as opposed to just 5% of British investment. Most of the money went to developing nations such as Russia that lacked the capital or technical knowledge to industrialize on their own. The construction of the Baghdad Railway, financed by German banks, was designed to eventually connect Germany with the Ottoman Empire and the Persian Gulf, but it also collided with British and Russian geopolitical interests. Defeating Russia in 1917 enabled Germany to transfer hundreds of thousands of combat troops from the east to the Western Front, giving it a numerical advantage over the Allies. By retraining the soldiers in new stormtrooper tactics, the Germans expected to unfreeze the battlefield and win a decisive victory before the army of the United States, which had now entered the war on the side of Britain and France, arrived in strength. However, the repeated German offensives in the spring of 1918 all failed, as the Allies fell back and regrouped and the Germans lacked the reserves needed to consolidate their gains. Meanwhile, soldiers had become radicalised by the Russian Revolution and were less willing to continue fighting. 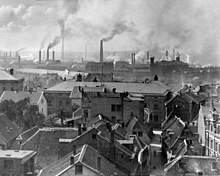 The war effort sparked civil unrest in Germany, while the troops, who had been constantly in the field without relief, grew exhausted and lost all hope of victory. In the summer of 1918, with the Americans arriving at the rate of 10,000 a day and the German reserves spent, it was only a matter of time before multiple Allied offensives destroyed the German army. The end of October 1918, in Kiel, in northern Germany, saw the beginning of the German Revolution of 1918–19. 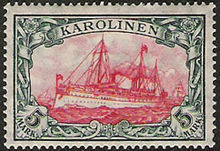 Units of the German Navy refused to set sail for a last, large-scale operation in a war which they saw as good as lost, initiating the uprising. On 3 November, the revolt spread to other cities and states of the country, in many of which workers' and soldiers' councils were established. Meanwhile, Hindenburg and the senior generals lost confidence in the Kaiser and his government. Bulgaria signed the Armistice of Solun on 29 September 1918. The Ottoman Empire signed the Armistice of Mudros on 30 October 1918. Between 24 October and 3 November 1918, Italy defeated Austria-Hungary in the battle of Vittorio Veneto, which forced Austria-Hungary to sign the Armistice of Villa Giusti on 3 November 1918. 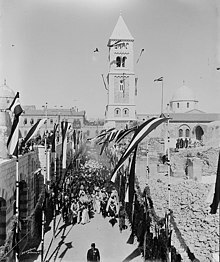 So, in November 1918, with internal revolution, the Allies advancing toward Germany on the Western Front, Austria-Hungary falling apart from multiple ethnic tensions, its other allies out of the war and pressure from the German high command, the Kaiser and all German ruling kings, dukes, and princes abdicated, and German nobility was abolished. On 9 November, the Social Democrat Philipp Scheidemann proclaimed a republic. The new government led by the German Social Democrats called for and received an armistice on 11 November. It was succeeded by the Weimar Republic. Those opposed, including disaffected veterans, joined a diverse set of paramilitary and underground political groups such as the Freikorps, the Organisation Consul, and the Communists. Before unification, German territory (excluding Austria and Switzerland) was made up of 27 constituent states. These states consisted of kingdoms, grand duchies, duchies, principalities, free Hanseatic cities and one imperial territory. The free cities had a republican form of government on the state level, even though the Empire at large was constituted as a monarchy, and so were most of the states. The Kingdom of Prussia was the largest of the constituent states, covering two-thirds of the empire's territory. Under Bismarck, a united German state had finally been achieved, but it remained a Prussian-dominated state and did not include German Austria as Pan-German nationalists had desired. The influence of Prussian militarism, the Empire's colonial efforts and its vigorous, competitive industrial prowess all gained it the dislike and envy of other nations. The German Empire enacted a number of progressive reforms, such as Europe's first social welfare system and freedom of press. There was also a modern system for electing the federal parliament, the Reichstag, in which every adult man had one vote. 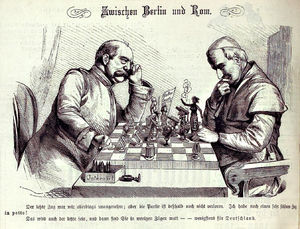 This enabled the Socialists and the Catholic Centre Party to play considerable roles in the empire's political life despite the continued hostility of Prussian aristocrats. Many historians have emphasized the central importance of a German Sonderweg or "special path" (or "exceptionalism") as the root of Nazism and the German catastrophe in the 20th century. According to the historiography by Kocka (1988), the process of nation-building from above had very grievous long-term implications. In terms of parliamentary democracy, Parliament was kept weak, the parties were fragmented, and there was a high level of mutual distrust. The Nazis built on the illiberal, anti-pluralist elements of Weimar's political culture. The Junker elites (the large landowners in the east) and senior civil servants used their great power and influence well into the twentieth century to frustrate any movement toward democracy. They played an especially negative role in the crisis of 1930–1933. Bismarck's emphasis on military force amplified the voice of the officer corps, which combined advanced modernisation of military technology with reactionary politics. The rising upper-middle class elites, in the business, financial and professional worlds, tended to accept the values of the old traditional elites. 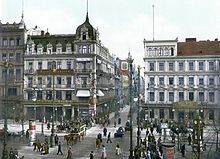 The German Empire was for Hans-Ulrich Wehler a strange mixture of highly successful capitalist industrialisation and socio-economic modernisation on the one hand, and of surviving pre-industrial institutions, power relations and traditional cultures on the other. Wehler argues that it produced a high degree of internal tension, which led on the one hand to the suppression of socialists, Catholics and reformers, and on the other hand to a highly aggressive foreign policy. For these reasons Fritz Fischer and his students emphasised Germany's primary guilt for causing the First World War. Czech Republic Hlučín Region, on the Czech–Polish border in Silesia, from which most Germans were deported following WWII. Part of the Czechoslovak Socialist Republic until its dissolution in 1990. 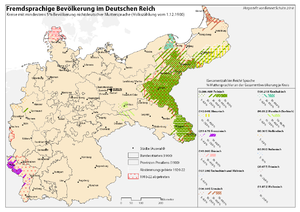 ^ "German Empire: administrative subdivision and municipalities, 1900 to 1910" (in German). Retrieved 25 April 2007. ^ "Population statistics of the German Empire, 1871" (in German). Retrieved 25 April 2007. ^ "German constitution of 1871" (in German). German Wikisource. 16 March 2011. Retrieved 2 April 2011. ^ World Book, Inc. The World Book dictionary, Volume 1. World Book, Inc., 2003. p. 572. States that Deutsches Reich translates as "German Realm" and was a former official name of Germany. ^ Joseph Whitaker. Whitaker's almanack, 1991. J Whitaker & Sons, 1990. Pp. 765. Refers to the term Deutsches Reich being translated into English as "German Realm", up to and including the Nazi period. ^ See, for example, Roger Chickering, Imperial Germany and the Great War, 1914-1918. 3rd ed. Cambridge: Cambridge University Press, 2014; Cornelius Torp and Sven Oliver Müller, eds., Imperial Germany Revisited: Continuing Debates & New Perspectives. Oxford: Berghahn, 2011; James Retallack, ed., Imperial Germany 1871-1918. Oxford: Oxford University Press, 2008; Isabel V. Hull, Absolute Destruction: Military Culture and the Practices of War in Imperial Germany. Ithaca: Cornell University Press, 2005. ^ Kitchen 2011, p. 108. ^ "Nobel Prizes by Country – Evolution of National Science Nobel Prize Shares in the 20th Century, by Citizenship (Juergen Schmidhuber, 2010)". Idsia.ch. Retrieved 2 December 2012. ^ Azar Gat (2008). War in Human Civilization. Oxford University Press. p. 517. ISBN 978-0-19-923663-3. ^ Diese deutschen Wörter kennt man noch in der Südsee, von Matthias Heine "Einst hatten die Deutschen das drittgrößte Kolonialreich[...]"
^ Case, Nelson (1902). European Constitutional History. Cincinnati: Jennings & Pye. p. 139. OCLC 608806061. ^ Kersbergen, Kees van; Vis, Barbara (2013). Comparative Welfare State Politics: Development, Opportunities, and Reform. Cambridge UP. p. 38. ISBN 978-1-107-65247-7. ^ Moore, Robert Laurence; Vaudagna, Maurizio (2003). The American Century in Europe. Cornell University Press. p. 226. ISBN 978-0-8014-4075-5. ^ Young, William (2006). German Diplomatic Relations 1871-1945: The Wilhelmstrasse And the Formulation Of Foreign Policy. New York: iUniverse. p. 33. ISBN 9780595407064. ^ a b Gvosdev, Nikolas; Marsh, Christopher (2013). Russian Foreign Policy: Interests, Vectors, and Sectors. Thousand Oaks, CA: CQ Press. p. 241. ISBN 9781452234847. ^ a b Tipton, Frank (2003). A History of Modern Germany Since 1815. London: Continuum. p. 170. ISBN 978-0826449092. ^ Mshana, Rogate. "The Economic Impact of German Colonial Rule and the Question of Reparation". ^ Fitzpatrick, Matthew (2007). "A Fall from Grace? National Unity and the Search for Naval Power and Colonial Possessions 1848–1884". German History. 25 (2): 135–161. doi:10.1177/0266355406075719. ^ Ciarlo, David (2008). "Globalizing German Colonialism". German History. 26 (2): 285–298. doi:10.1093/gerhis/ghn007. 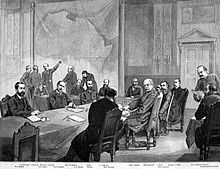 ^ L. Gann and Peter Duignan, The Rulers of German Africa, 1884–1914 (1977) focuses on political and economic history; Michael Perraudin and Jürgen Zimmerer, eds. German Colonialism and National Identity (2010) focuses on cultural impact in Africa and Germany. ^ Dedering, Tilman (1993). "The German‐Herero war of 1904: Revisionism of Genocide or Imaginary Historiography?". Journal of Southern African Studies. 19 (1): 80–88. doi:10.1080/03057079308708348. ^ John J. Beer, The Emergence of the German Dye Industry (1959). ^ Kitchen, Martin (2000). Cambridge Illustrated History of Germany. Cambridge University Press. p. 214. ISBN 978-0-521-79432-9. ^ a b c Kurtz, Harold (1970). The Second Reich: Kaiser Wilhelm II and his Germany. McGraw-Hill. p. 60. ISBN 978-0-07-035653-5. ^ Stürmer, Michael (2000). 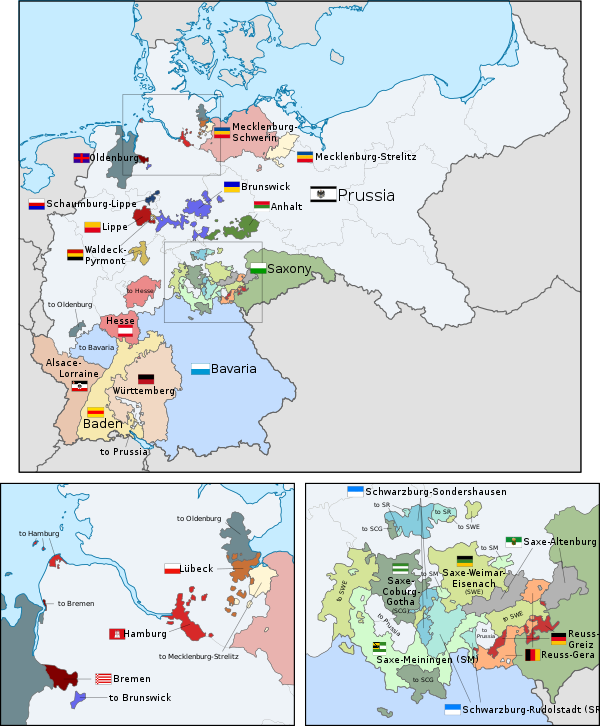 The German Empire: 1870–1918. New York: Random House. p. 63. ISBN 978-0-679-64090-5. ^ Matthew Jefferies, Imperial Culture in Germany, 1871–1918 (2003). ^ "Wilhelm II (1859–1941)". BBC. Retrieved 19 April 2014. ^ Matthew Stibbe (2006). German Anglophobia and the Great War, 1914-1918. Cambridge UP. pp. 176–178. ISBN 9780521027281. ^ German Historical Museum. "1914–18: Lebensmittelversorgung" (in German). ^ The Slavic speakers included Polish, Masurian, Kashubian, Sorbian and Czech were located in the east; Polish mainly in the Prussian provinces of Posen, West Prussia and Silesia (Upper Silesia). Small islands also existed in Recklinghausen (Westphalia) with 13.8% of the population and in the Kreis of Kalau (Brandenburg) (5.5%) and in parts of East Prussia and Pomerania. Czech was spoken predominantly in the south of the Silesia, Masurian in the south of East Prussia, Kashubian in the north of West Prussia and Sorbian in the Lusatian regions of Prussia (Brandenburg and Silesia) and the Kingdom of Saxony. ^ "Fremdsprachige Minderheiten im Deutschen Reich" (in German). Archived from the original on 6 February 2010. Retrieved 20 January 2010. ^ "A New Surge of Growth". Library of Congress. ^ Jürgen Kocka (January 1988). "German History before Hitler: The Debate about the German 'Sonderweg'". Journal of Contemporary History. 23 (1): 3–16. doi:10.1177/002200948802300101. JSTOR 260865. ^ Helmut Walser Smith (May 2008). "When the Sonderweg Debate Left Us". German Studies Review. 31 (2): 225–240. Feuchtwanger, Ed (2002). Imperial Germany 1850–1918. Routledge. ISBN 978-1-13462-072-2. Kitchen, Martin (2011). A History of Modern Germany: 1800 to the Present. John Wiley & Sons. ISBN 978-1-44439-689-8.